Determind Padraig McCrory is on the hunt for another stoppage win when he competes on the packed #MTKFightNight show at Ulster Hall on Friday night. 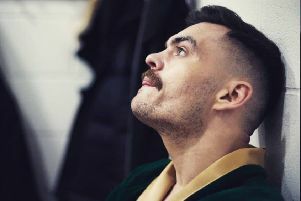 McCrory has proven in his career so far that he’s extremely heavy-handed, especially in his last fight back in December, and the man known as ‘The Hammer’ is planning to pick up right where he left off this weekend. “Last year I made everyone sit up and take notice. I was lucky enough to get the Irish Knockout of the Year, and in my six wins I’ve dropped five of my opponents. “I’m happy to be back out at the Ulster Hall, and people know now that I have power. It’s my first six rounder and I’m pleased with how things have gone so far. 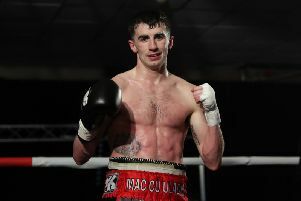 The main event of Friday’s card at the Ulster Hall sees Conrad Cummings defend his WBO European middleweight title in a rematch against former foe Luke Keeler. On the undercard Tyrone McKenna, Steven Ward, Steven Donnelly, Sean McComb and many more will feature.